You'll stun the competition when you show up to the stadium in this Brett Favre Green Bay Packers Replica Retired Player jersey from Mitchell & Ness. Its throwback design and classic colors will make it a go-to piece in your collection of game day gear all season long. 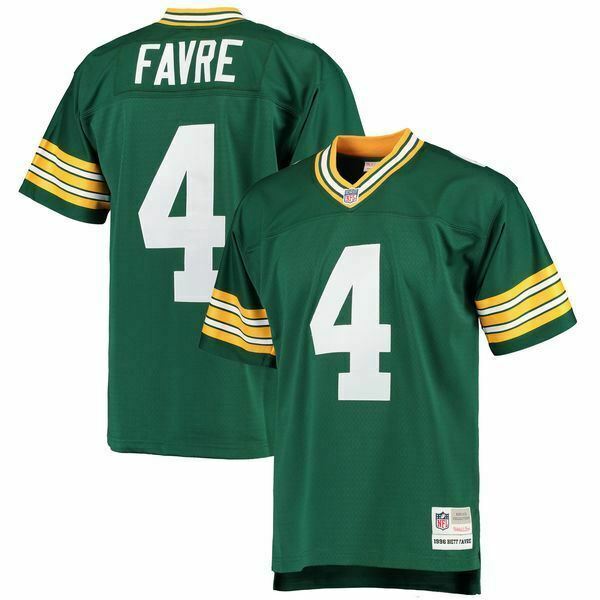 Your passion for the Green Bay Packers will be undeniable with the sharp Brett Favre graphics on this awesome jersey. Fans come first in the world of sports. At Headz n Threadz we embody that in everything we do as we bring you the very best officially licensed sports apparel. As official partners of the NFL, MLB, NBA and NHL, our emphasis is always on a top-notch experience for fans everywhere. Headz n Threadz isn't just a leading sports apparel provider - we're fans just like you, and always put the fan first in everything we do.